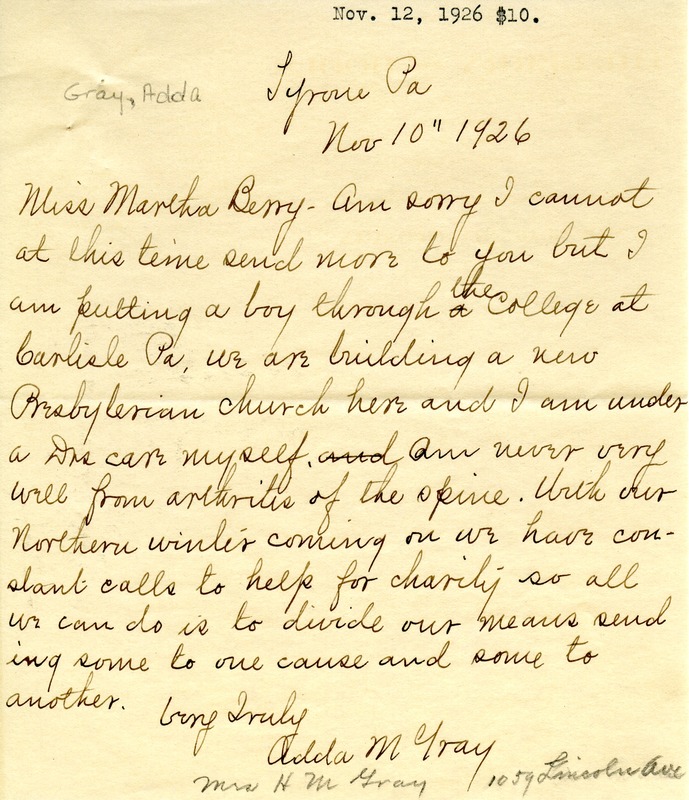 Adda Gray writes to Martha Berry expressing her apologizes that more could not be sent but right now she is sending a boy through the college as well as in the middle of assisting with building a new Presbyterian Church. Mrs. Adda M Gray, “Letter to Martha Berry from Adda Gray.” Martha Berry Digital Archive. Eds. Schlitz, Stephanie A., Aaron Jackson, et al. Mount Berry: Berry College, 2012. accessed April 18, 2019, https://mbda.berry.edu/items/show/2296.